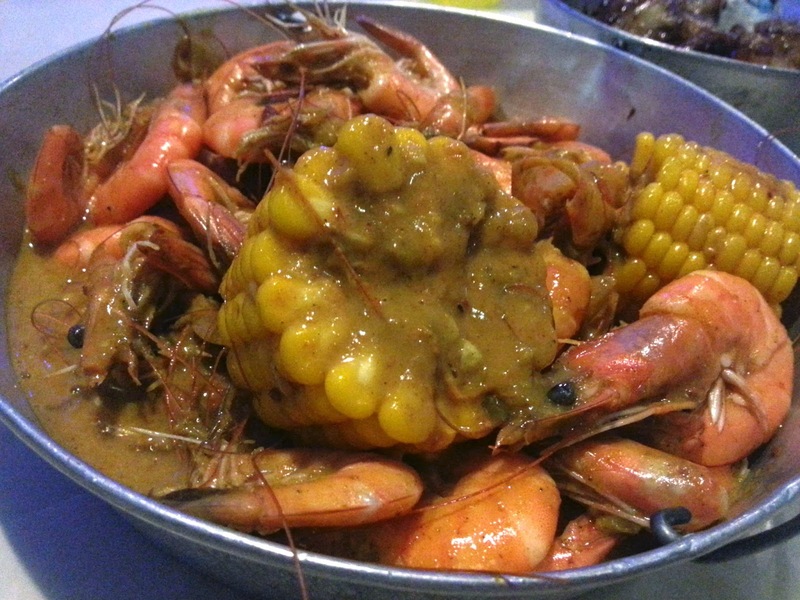 I don't know why it took me so long to try out Bucket Shrimps, which is located near the Capitol area, only a short drive from home. Probably because the people closest to me sort of scoff at the thought of paying for overpriced shrimp when you can cook it at home easily at just a fraction of the cost. 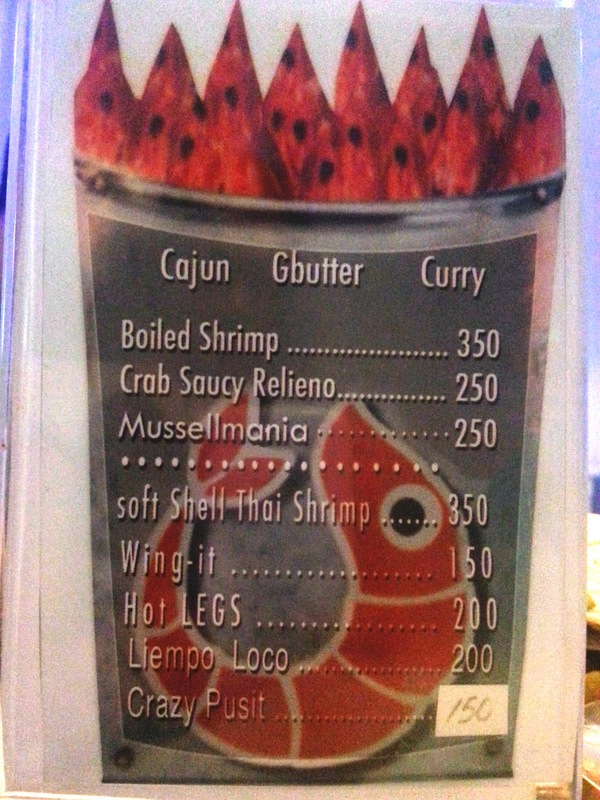 A bucket of shrimp at P350 and you can choose what flavor you want it in. We ordered one in Cajun and another in Curry. My friends preferred the Cajun one while I, a curry lover, ate more of the one in curry sauce. Looks delicious and I quite enjoyed it. Don't be deceived though, the "bucket" was only about 1.5 to 2 inches deep. So yes, it's a little overpriced now that they're so popular. This used to be a unique and cheap place to dine. It remains affordable now, just not as worth-every-penny as it used to be. Unfortunately, it seemed like the bucket had a few pieces of shrimp that weren't as fresh in the mixture. You can tell as the texture is different and mushy. 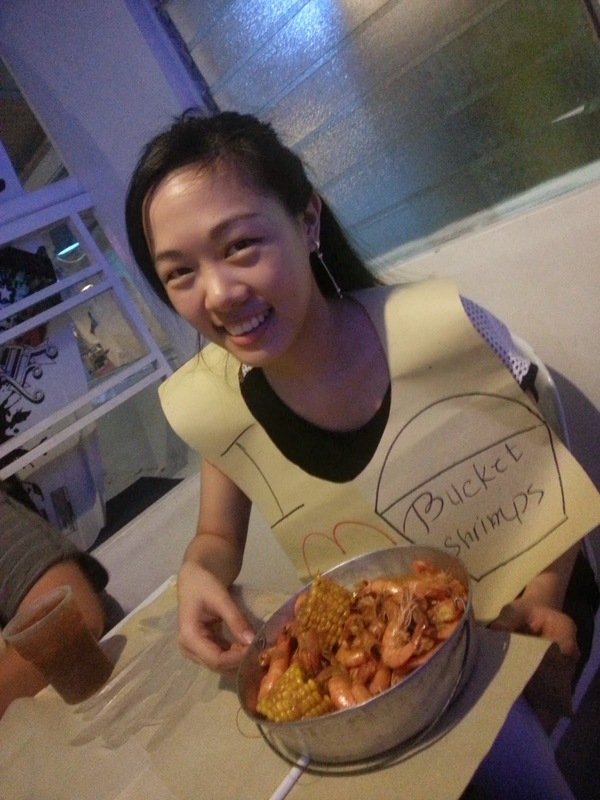 Here's my haggard-looking self wearing the I <3 Bucket Shrimps bib, and yes, it's made of manila paper with drawn-on words with the use of a marker. It was a full house, with no air conditioning, just an electric fan so I wasn't feeling so fresh. 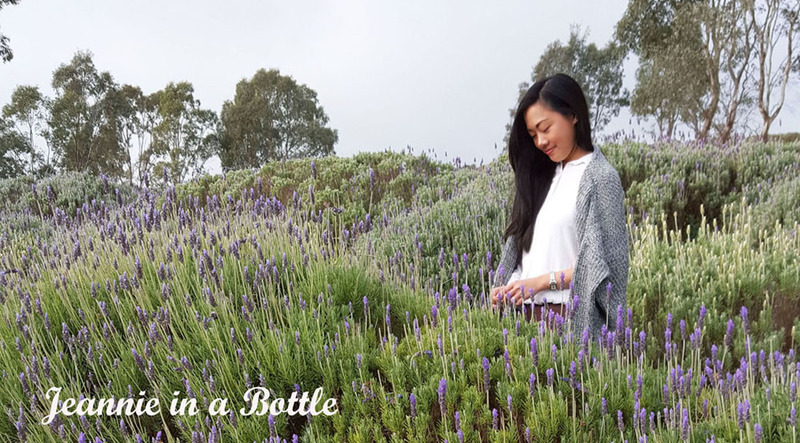 Also, you eat on the table (covered with clean plastic) and either use your bare hands (wash your hands) or use thin, plastic gloves to cover your hands. Well, no one ever said this was fine dining. 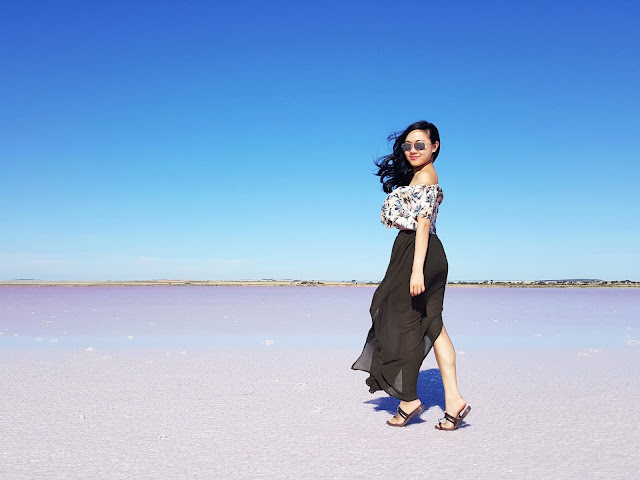 Overall, I really enjoyed this experience and wouldn't mind going back. I will definitely ditch the plastic gloves next time as they were a bit useless. It's such a unique and simple business concept and I'm like, "Huhhh, why didn't I think of that? I could have been a millionaire by now!"